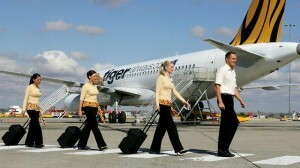 Tigerair said it was working with Indonesian authorities to meet the new requirements to restart flying. The airline did not say what the changes were. Reuters news agency quoted an Indonesian spokesman saying that only three of the low cost carrier’s charter flights were affected, not scheduled flights. Hundreds of passengers have been affected by the cancellations, about 700 on Wednesday alone. Social media accounts tell of airport chaos with few hotel rooms made available for stranded passengers. Tigerair said on its website that its parent company Virgin Australia would operate two flights from Bali on Thursday to fly customers back to Australia.